Domain name systems or DNSs are used to control the website and email settings for a particular domain name. A DNS is highly specialised and efficient at identifying which server needs to be used to load the website on to a system. A number of different companies offer DNS hosting for your website. Basically, they help clients use their DNS services to make their websites accessible to their visitors. GoDaddy is one of the most well-known companies offering DNS services. Moniker is also a popular company offering similar services. So, when a person wants to access a particular website or web page, he or she is first taken to the servers of the company offering DNS services for the owner or administrator of the website. DNS servers may be privately owned by a company or they may be public. Google offers a public DNS system that is an alternative to private DNS services. A private DNS enables the client to host the website on its servers. The client can host as many accounts with their own name without the visitors of the client getting to know about the DNS server the website is hosted on. Private DNS servers typically do a pretty decent job of creating and managing domain names for their clients. They are an attractive option because they allow the client to create a large number of domain names for a small price. 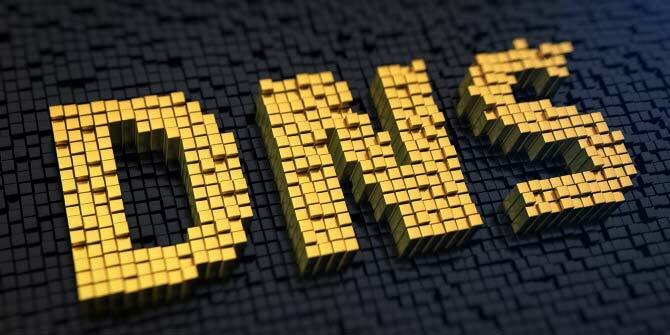 It is important to differentiate between a private DNS provider which refers to a company offering DNS services and a private DNS network which refers to a DNS network that is limited to within an organization and its employees. Although private DNS providers are useful, clients often run into problems with their service quality and performance. For instance, it is common for some clients to experience slow loading speeds. At times, the network might simply not be available resulting in significant disruption of service to clients and their users. Similar complaints have been raised about the private DNS provider Moniker.com. This company offers DNS services at attractive rates to its clients but there have been issues reported by clients as far as speeds and availability of the network is concerned. When compared with using a DNS server that uses a domain name with the name of the DNS provider, loading speeds become slow and visitors might be unable to access the website of the client. Other problems that clients experience with regular DNS companies include one where a single email message gets broken up into separate files. Most clients are unaware about such problems or the solutions to addressing them. Hence, they continue to suffer from poor performance and speed from their current DNS provider. There is an alternative that can help website owners avoid this problem. This involves using the DNS servers of the hosting company. However, this option is not entirely recommendable because of the frequent reliability issues that come up with these servers. Another possible alternative could be to acquire a dedicated DNS services provider. There is a visible difference in the quality and speed of loading web content through a dedicated DNS services provider. The difference between a dedicated DNS services provider and other companies is that the former typically use an AnyCast network methodology while ordinary DNS providers usually use a UniCast network methodology. With a UniCast network methodology, the data package or signal is transmitted to a single recipient. 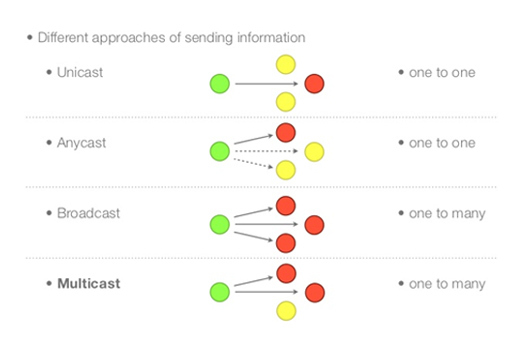 A single sender and a single receiver are involved in a UniCast methodology. This is a wasteful process and leads to waste of bandwidth capacity and time. On the other hand, the AnyCast methodology is more efficient since the signal or data packet is sent to any server that is nearest to the sender instead of being sent to a specific server that might be situated farther from the source. This is beneficial not only for the website owner but also for the people who visit that website since they receive signals from a server that is closest to their computer. Signing up with a dedicated DNS services provider is definitely more expensive than with an ordinary DNS provider. However, because dedicated DNS providers use AnyCast methodology, they are able to provide better speed and performance as far as loading is concerned. Although the number of such DNS providers is few, they are likely to increase in the coming years and provide a richer and convenient experience to their clients. It is estimated that the speed of service increases by up to a hundred times when a client switches from a UniCast DNS provider to an AnyCast DNS services provider. DNS Made Easy is one of the few companies that offer high quality AnyCast services to clients. Their performance in terms of speed and data integrity is remarkable. The company charges less than $30 a year for a basic service plan that entitles the client to host up to 10 domains at the same time. However, there are other companies that offer similar or even more advanced services at more expensive rates. Thus, there is considerable room for clients to shop around for the best DNS services provider for their needs. The service plans and costs can be compared to select the most affordable and convenient option for the client. Before deciding to sign up for a dedicated DNS service, it is wise to find out the speed of your present DNS provider. There are a number of websites where you can find out whether your current DNS provider is delivering a high level of service. One of these is ultratools.com. A number of performance metrics are shown on the main page to help you assess the loading speed of your website. Max delays is a very useful metric that shows the duration of a delay between a request made by the user and the time for completing loading a page to their system. The max delay for DNS Made Easy is significantly lower than that of Moniker or any other DNS provider.